The second event in The Legend Series took place at the old Ford assembly plant under the Mathews Bridge the evening of Sunday, April 15th. Courses were prepared by Chef Sam Efron of Taverna; Chef Guy Ferri from Black Sheep Restaurant; Chef Tom Gray from Bistro Aix; and Chef Scotty Schwartz of 29 South. Palm Bay generously donated all the spirits and wine for the evening. Guests were entertained by The Mast, a band brought to Jacksonville from Brooklyn by Atypical Arts. The inaugural event in The Legend Series is featured in the current issue of Arbus Magazine. The first event in The Legend Series took place at Intuition Ale Works the evening of Sunday, January 22nd. Seven spectacular courses were crafted by Chefs Brian Siebenschuh from Restaurant Orsay; Chef Scotty Schwartz from 29 South; Chef Tom Gray fromBistro Aix; Chef Sam Efron from Taverna; and the new executive chef of Chew Restaurant, Guy Ferri. The dinner was sponsored by Vibrant Rioja and Intuition Ale Works. Philip Pan, concertmaster of the Jacksonville Symphony Orchestra, arranged original music inspired by each course. A highlight of the evening was Chef Tom Gray accompanying Philip on cowbell to Hugh Masekela’s Grazing in the Grass. Jensen Hande generously provided his photographic magic for the event. Click the images below to view them full size. Click here and here for short video clips from the evening. If you would like to learn about upcoming events in The Legend Series email thelegendseriesjax@gmail.com. 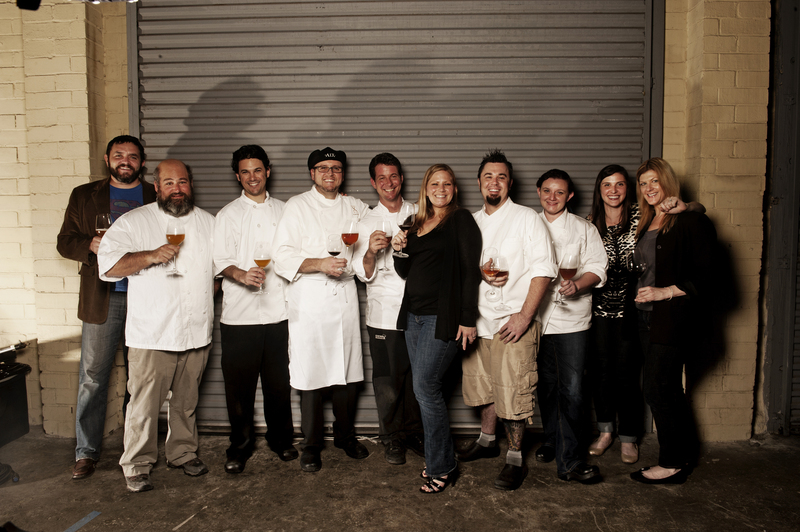 The Legend Series is a quarterly underground dining series based in Jacksonville, FL. 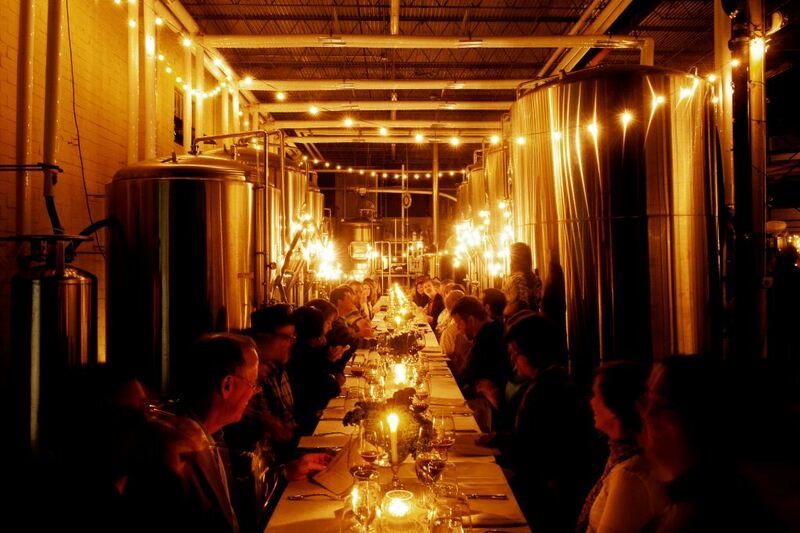 It is a series of “renegade” dinner events that will include some of the Southeast’s best chefs as well as local artists, musicians and artisans. The locations and themes of the events will remain secret until the day of the dinners and we have a list of outstanding, non-traditional venues throughout Northeast Florida where we intend to hold events. 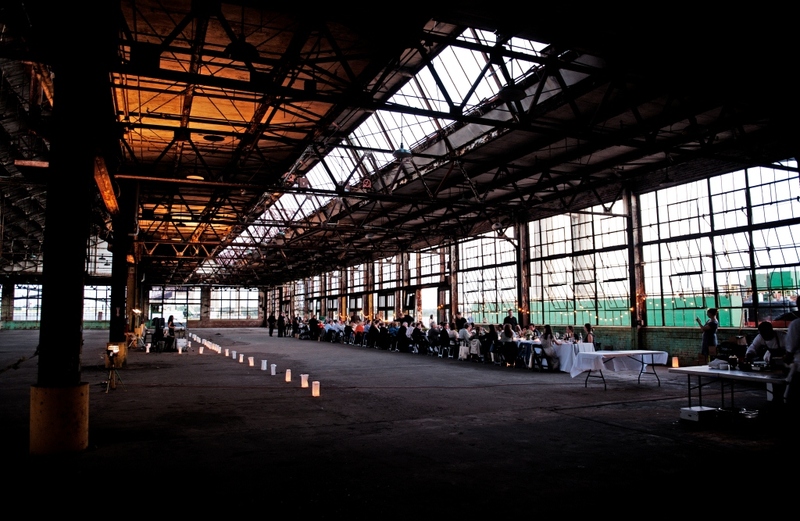 The venues, menus and artists are intended to shock, surprise, and impress! The inaugural dinner will take place in late January 2012 at a location in Jacksonville. We have recruited the top chefs of Jacksonville to participate: Chef Brian Siebenschuh from Restaurant Orsay; Chef Scotty Schwartz from 29 South; Chef Tom Gray from Bistro Aix; Chef Sam Efron from Taverna; and the new executive chef of Chew Restaurant, Guy Ferri. This first event is intimate and invitation-only. The event is sponsored by Vibrant Rioja and Intuition Ale Works. Guests are in for a special (surprise!) treat with regards to entertainment. 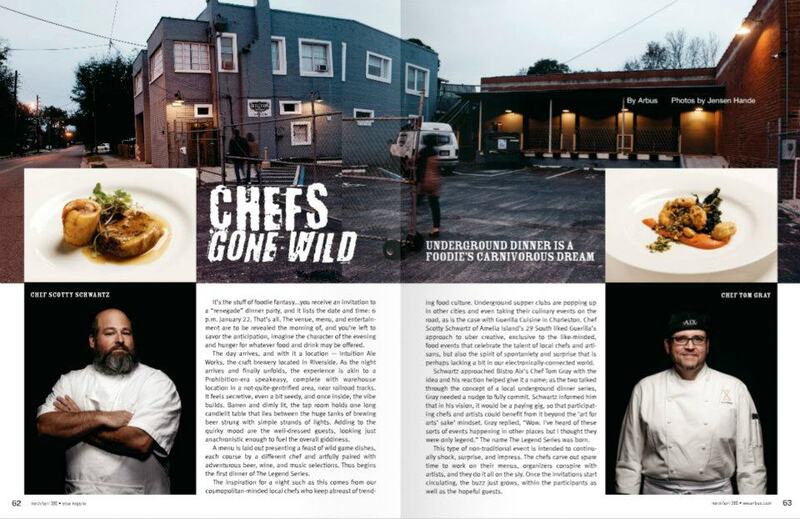 Our mission is to showcase the best of our area’s culinary, visual and musical arts while providing a shocking, exciting, one-of-a-kind experience for guests. If you would like to be informed of upcoming events email your name and email address to thelegendseriesjax@gmail.com. Stay tuned for a re-cap and information on how to sign up for future events in the series.